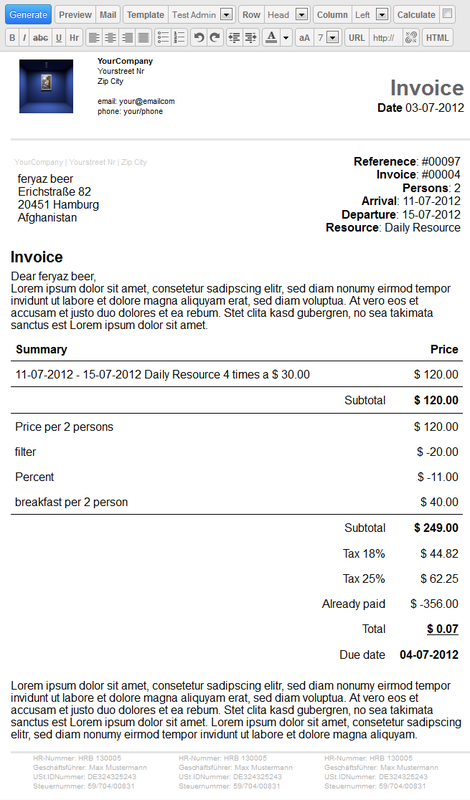 Automatically generate personalized invoices in PDF format for your guests. 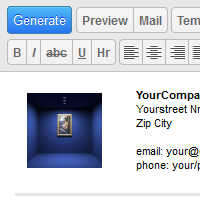 You can customize them in multiple stages of generation to allow full editability but also to generate them automatically and attach them to emails. They are in correct A4 letter dimension to allow printing. One of the key features is the invoice editor that allows admins to change every single character of the invoice before generating. 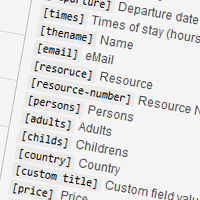 The invoices get generated by templates that you can define in the settings. Each part of the Invoice can be configured with multiple options. The way of calculations is almost fully defineable, as well as the values and even the style. 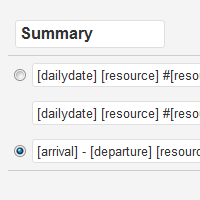 All reservation information can be added with [tags]. Of course HTMl is also supported. The goal was to allow full control over each sign and point of the invoice, but also that it can be very automatic. This happens by taking a .html blueprint and merging it with the configured invoice templates. In the next step it replaces the [tagged] informations and sends it either to the editor or directly to the .pdf generation. 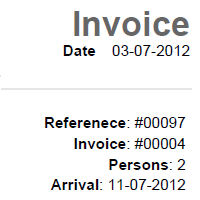 For admins there’s the editor to directly edit invoices. It has all normal format functions like underline, lists, font-size or color. 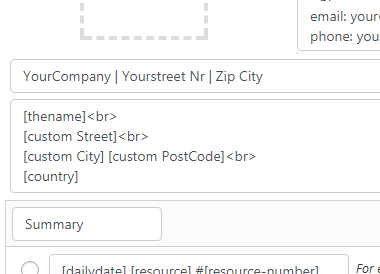 It also allows adding of row’s or columns, to switch between the invoice templates, has an excel-like auto-calculation function and and an HTML mode. 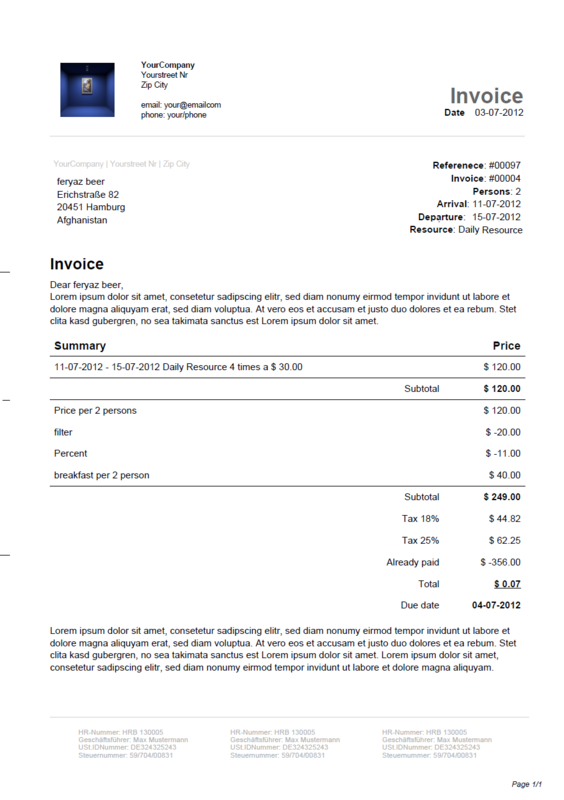 You can preview, email or download invoices directly from the editor. 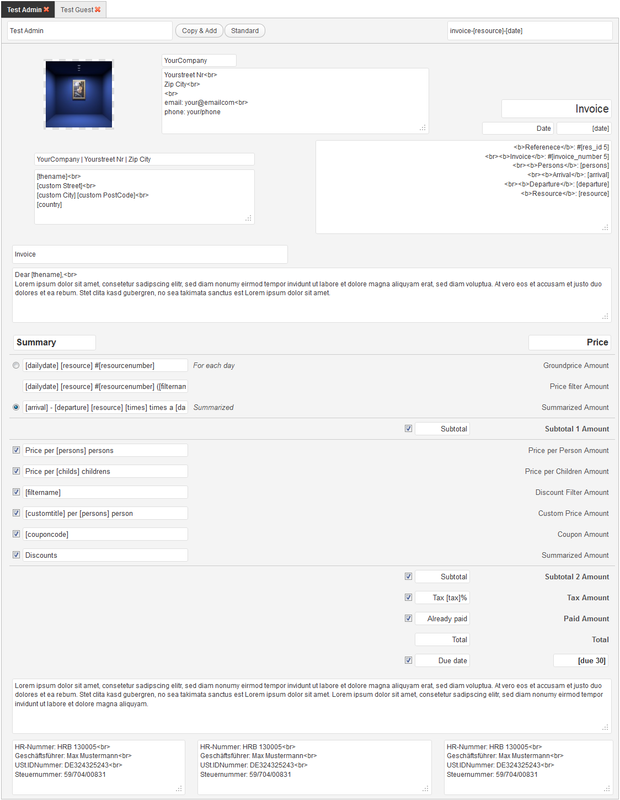 The invoices can be automatically generated by a defined template and attached to the emails. The filename is definable. The Invoices have fold marks, a punch mark and have the right A4 dimensions for letters. The invoice number can be stored per reservation. For international users the font can be changed to support all languages.